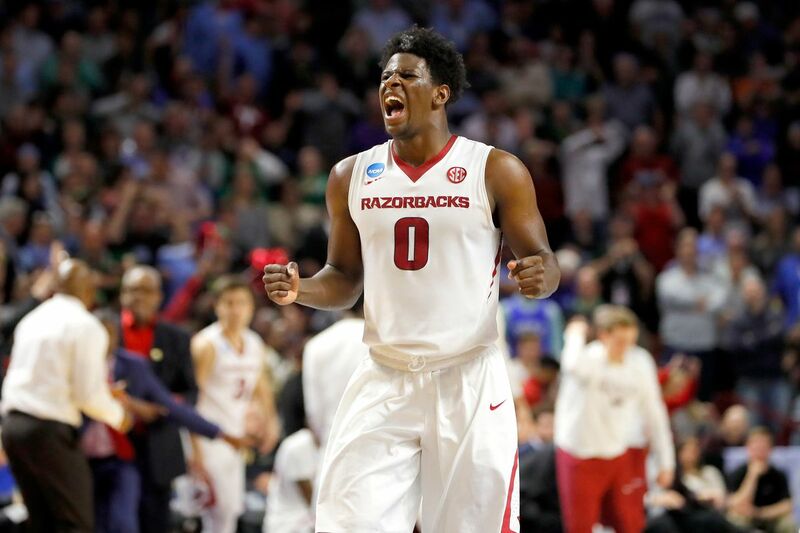 Brewster Academy graduate Marcus Derrickson will continue to impress in #NBA draft workouts! One of the hardest workers I've had privilege to coach! Disciplined.
.@WenyenGabriel's game is where the league continues to trend towards. He’s a position-less big man who can shoot, guard multiple positions and is willing to do what it takes to win.
.@WenyenGabriel has decided to keep his name in the 2018 NBA Draft. The 2018 SEC All-Tournament Team member made 42 3-pointers, second most on the team, on 39.6-percent shooting from behind the arc. ... When Colson landed awkwardly late in the third quarter of what was his final college game in the second round of the National Invitation Tournament against Penn State on Saint Patrick’s Day, he did more than crack the fifth metatarsal (outside bone) of his left foot a second time in just over three months. Colson landed with such force and at such an awkward angle that he also bent the titanium screw that was supposed to be so safe and secure, still in the foot from his original injury and subsequent early-January surgery. Screws just don't bend. Ever. Colson felt more foot pain the second time than when he first broke it in practice in late December. He knew last month that it was bad. He knew it was probably broken. No player in high school basketball, maybe ever, has garnered more rim-rocking highlight dunks, Sportscenter Top 10 appearances and social media attention than Spartanburg Day School (S.C.) wing Zion Williamson throughout his legendary high school run, which included three-straight state titles. Now that he’s officially a high school graduate, we caught up with Williamson, who will suit up for Duke next season, to have him rank the top three dunks of his high school career. Per sources, Hog alum @Jbarford1 is currently at Golden State for a pre-NBA Draft workout. He recently worked out for Utah, Detroit, Minnesota, & San Antonio, w/more workouts upcoming: New York (6/5), Memphis (6/6), Orlando (6/10), OKC (6/11), & Dallas (6/12). NBA Draft is 6/21.